From our base in Durham City we can cater for enquiries across the North East of England including County Durham, Northumberland, Tyne and Wear and Teesside. Travel towards Gateshead, Newcastle and Sunderland can all be undertaken effortlessly and with great style, and we would take a single customer or 16 anywhere in the country. Please note the map below: Any journey between two points on the map will only incur a charge of £5. Free quotes and estimates are provided as standard; please contact us for more information or fill out our enquiry form. 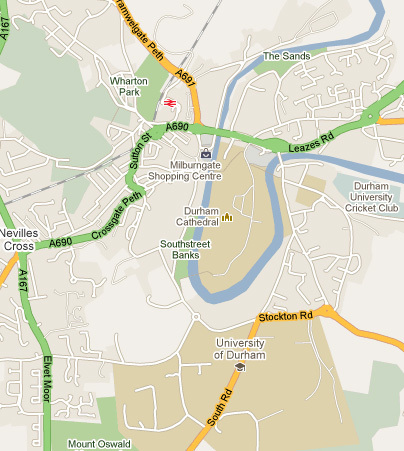 Start and finish any journey on this map for £5 for a car up to 4 people and £7 for up to a 8 seat minibus.